At the time there were loads of trance compilations being released and our distributor suggested we should do one. We didn't want to just do a 'cash in' type project so decided to put out a Magick Eye sampler album with a number of exclusive tracks & mixes as well as previously released tracks on it so that it worked as an album in it's own right. Hopefully it worked - we like to think it did and it sold well so maybe it did! 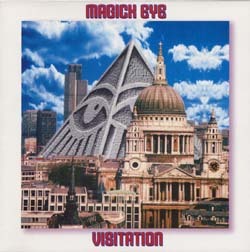 This album was the first to feature new signing 'Spiralhead' who released a few singles and compilation tracks for Magick Eye but unfortunately never got around to releasing an album. One of the albums other highlights is the new mix of Astralasia's 'Kalki's Coming'.